The affordable solution for remarkably high-accuracy timing and tie-breaking. Use RapidCam for indisputable visual proof, and some really great racer photos to boot! Yes, it's actually that easy! RapidCam is a line scan photo-finish camera. 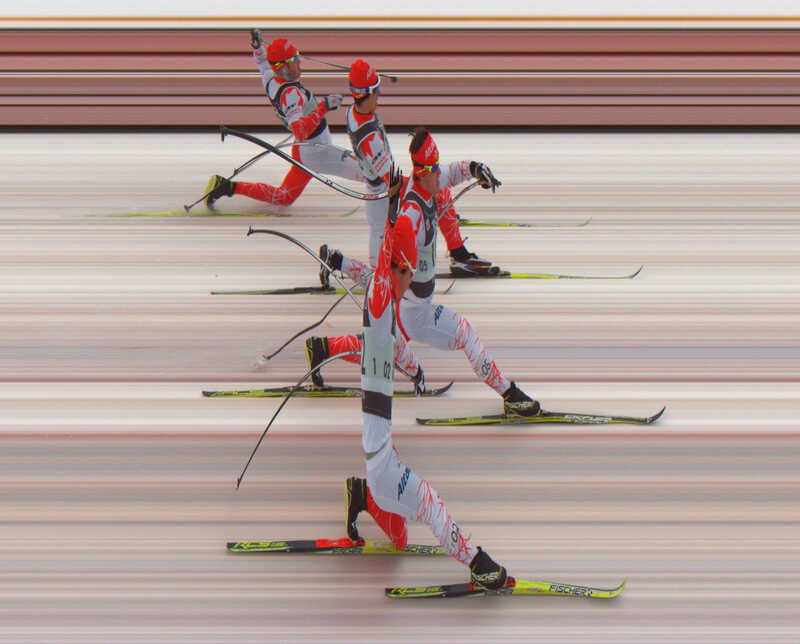 That is, it only snaps an image of a thin vertical line at a time, at the finish line for example. It then takes all the images captured, and arranges them into a single final image. In the image below, the finish line is a white line on the road. 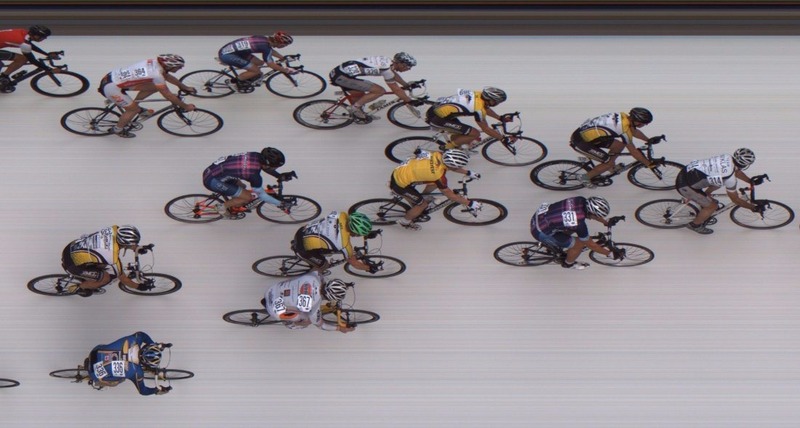 The image appears to show the racers on a white surface because it is only recording precisely on the white finish line. Incredible! Could you make the call? Who is RapidCam best-suited for? RapidCam is best-suited for sports clubs and event organizers who are looking for a simple and affordable photo-finish solution without the complicated setup and convoluted software. The camera also makes a great addition to an existing Zone4 timing system. Is RapidCam suitable for track-and-field and other record setting sports? Not yet, as there is currently no support for synchronization with an external start time signal. This synchronization is an important timing component for record setting sports where times are compared between events. RapidCam is ideal for sports such as cross-country skiing and road cycling, sports where records are not set, and the start time synchronization is not as critical. Support for an external start time signal is planned. Can I use just the RapidCam and RapidCam Software to time a race? No, the RapidCam software is not a full featured race management and timing software package. It was designed to manage camera configuration, image capture, and racer tagging. You can however, time a race using the RapidCam and Zone4 Timing Software.